Ask yourself a question many people ask themselves when dealing with Estate Agents; can you sell your home yourself? Market Valuation- You should really seek 3 valuations from different agents. They should be able to explain how they arrived at their valuation figure- showing you evidence in the form of recent comparable sales. They should provide you with a report explaining this value along with any suggestions as to how you can increase value, if this is possible. Marketing- this includes photography (including staged shots/ twilight photography/ 360 photos etc); promotional video tailored to your home; brochure; online portals (Rightmove and Zoopla); social media marketing etc…You should be checking the standard and quality of each of these areas, along with any bespoke tools they will use to market your house. You should be absolutely confident that everyone who is potential looking to buy your house will see it. They should not be relying on their own distribution lists- most buyers search online and don’t necessarily register with individual agents. Marketing also includes viewings- try a mystery shop and act as a buyer for one of their homes. If you have a problem getting through on the phone or difficulty organising a viewing at a time convenient to you, chances are your buyers will have the same problem. Sales Progression– once you have accepted an offer, your agent should really be getting to work. You need to be confident they will be on hand to answer any questions you have, as well as your buyers. This is a critical time in a sale and often things can be simpler if you have a pro-active agent that keeps the chain moving along. Recently there has been a new breed of online Estate Agents popping up. This can seem like a cheaper option, however you are paying an upfront marketing fee which involves you doing an awful lot of the work yourself- with no guarantee of a sale. It seems you are caught between the devil and the deep blue sea. If only you could DO IT YOURSELF, it can’t be that hard can it? You CAN sell your home yourself! Well actually it may surprise you to learn that you CAN do it yourself, but of course there may be times when you need someone to turn to for a little bit of help or advice. Somebody friendly with experience in selling homes. Somebody like Claire Forkes from Home Xperts! Speaking to somebody with experience and knowledge could just give you the confidence to decide to sell your home yourself, and if you have time, you could start choosing those new carpets! Can you sell your home yourself? Yes you CAN! 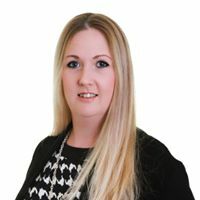 Find out more about Claire Forkes and the services she offers to homeowners or contact her directly on 07944 113289. For more tips on selling your home yourself check out the Homeowners Alliance website. This Which guide also give valuable tips on the house selling process. Don’t forget you will need also your Fensa Certificate for any windows and doors you have had fitted since 2002.